Rumors of an Amazon smartphone and even one from Facebook have been littering tech sites for quite some time but now it appears that another tech giant is focusing their attention on mobile. 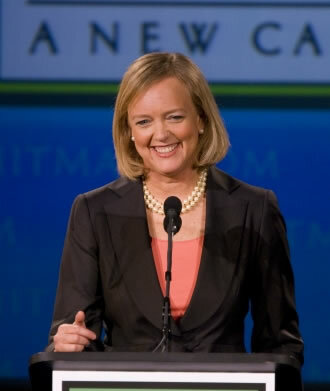 During an interview on the Fox Business Network, HP CEO Meg Whitman said her company ultimately has to offer a smartphone. She points out that HP is a computing company and they must take advantage of the smartphone form factor at some point. Whitman said that in many countries, the smartphone is the primary computer as many people don’t own a desktop, tablet or notebook computer. It’s interesting news for sure as it was just over two years ago when HP purchased smartphone manufacturer Palm for $1.2 billion. The deal was completed in July 2010 but just 13 months later, HP withdrew their interest in mobile and discontinued production of all webOS devices including the infamous HP TouchPad – a product that remained on store shelves for less than 50 days. Whitman reportedly seems more interested in hardware than software initially, saying they have to “get it right this time.” She didn’t specify what operating system HP would use but if we had to venture a guess, Microsoft’s Windows Phone 8 – due out next month - is a likely candidate. Google’s Android would be another viable option but considering HP’s close relationship with Microsoft, my money would be on WP 8. No word yet on when HP might be preparing to release a phone.